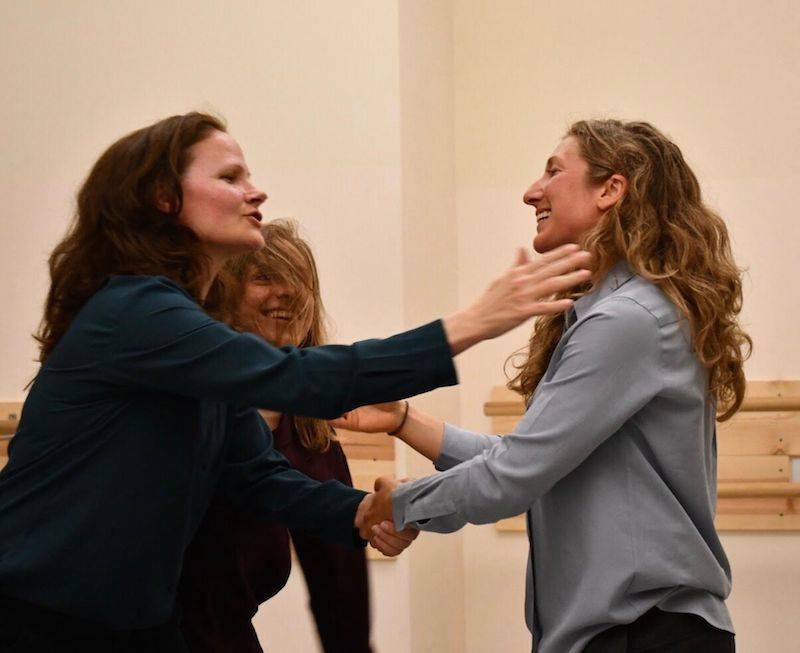 Although her name is instantly recognized by even casual theater-goers, Sarah Kane's works have long struggled to find a foothold in the Bay Area. 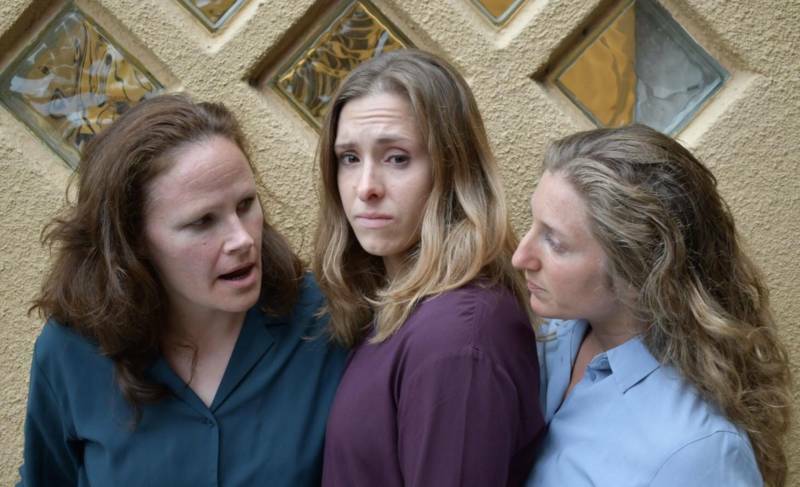 With a few exceptions (such as Shotgun Players' 2017 production of Blasted), Bay Area companies shy away from her passionately bleak worlds and imperfect, struggling characters. This struggle is not confined solely to her stages. Like other creators of visceral worlds tinged with violence, surrealism, and self-loathing—the Kurt Cobains and the Sylvia Plaths—what Kane will probably always be known for, above all, is her untimely death by suicide at the age of 28. What makes 4.48 unique, even for Kane, is the fact that it consists solely of text, split arbitrarily into 24 sections, no character names, no stage directions, no indication at all of how it should be presented, or even how many actors should be in it. In fact, it reads like a poem, the kind that would not be out of place in an anthology dedicated to new, experimental works. There are even whole sections consisting solely of numbers displayed in a sequence whose meaning is known only to their author. In short, it’s a challenge. 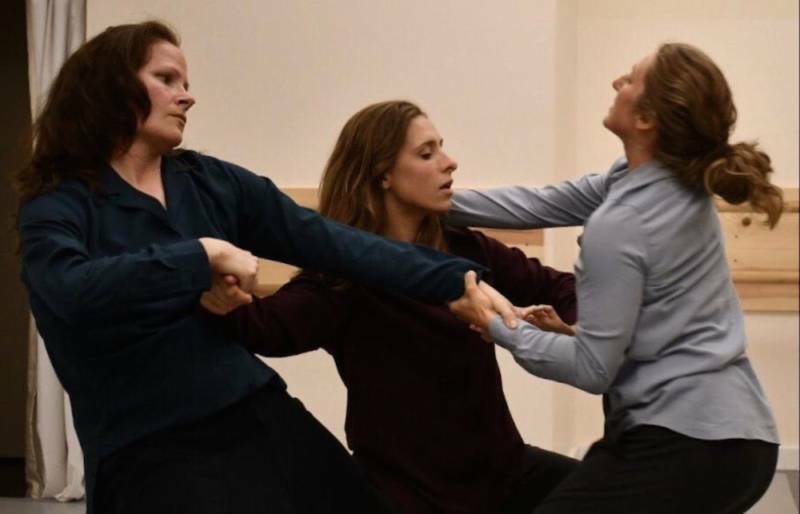 Director Robert Estes rises to this challenge with the capable assistance of choreographer Bridgette Loriaux, and a strong cast of three women: Anastasia Barron, Jody Christian, and Adrian Deane. Beginning on three separate corners of the stage, the three advance to the center of the room to dance to the pre-recorded strains of a cello, filling the room with urgent melancholy. Clad in matching trousers of loden green, and button-down shirts of light blue, deep teal, and maroon (costume design by Katja Rivera), they come together only to pull apart, not just once but throughout the play, like pieces of a fragmented mind trying to put itself back together again. In the words spoken by Anastasia Barron, that fragmented mind “shifts as ten thousand cockroaches when a shaft of light enters as all thoughts unite in an instant of accord.” Welcome to the world of Sarah Kane, where 4:48 am is her hour of reckoning, every morning she wakes. It takes time for the three “fragments” to develop into their own unique characters—in part because of the often arbitrary nature of the text, and in part because of the often seemingly arbitrary nature of the action onstage. 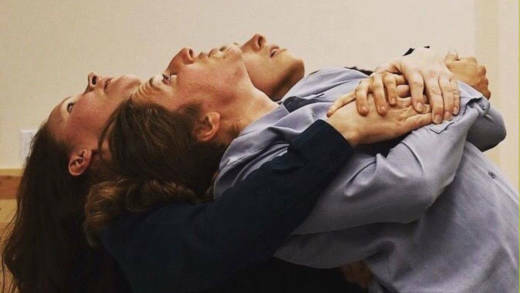 But as the three actors contort their bodies in symbiosis with the contortions of a mind in turmoil, three major facets of their shared consciousness become apparent. Barron is given the bulk of the poetry—the soul-searching and the self-loathing—with lines that sometimes border on the maudlin. “I’ve never in my life had a problem giving another person what they want," she says at one point. "But no one’s ever been able to do that for me.” Frequently she lies on her back or on her side, sinking into the floor, fetal with anguish, while Christian and Deane spar more frequently with each other: Deane as righteous self-destruction and Christian as cool rationality and medical diagnoses. While the language is frequently mesmerizing, and the actors remain fierce and focused throughout the piece, the production does have its weak points. The choice to rely on frequent blackouts, strobe lights and ill-suited gobos (provided by Nathan Bogner) in order to differentiate the many sections turn what could be a sustained burst of impassioned turmoil into an enervating series of vignettes, connected to each other only by the constant presence of the actors and the shrewd bitterness of Kane’s words. Staged in the round, the frequently visible faces of fellow audience members, whether rapt or dozing, sometimes distract from the drama onstage. And without a textually provided throughline, the production leaves us equally bereft of a satisfactory denouement. The play simply ends when it ends, with an understated plea to open the curtains, after which the actors take their bows and leave. Despite this, the rare opportunity to see this little-staged work is worth the effort. Few plays go so boldly into the misunderstood territory of the troubled mind as 4.48 Psychosis, and Estes and his fearless cast are to be commended. Through their unconventional staging they imbue this difficult piece with moments of real beauty and empathy, drawing the audience to bear witness to a human condition that is so frequently ignored, misinterpreted, or rejected. This production may not be a perfect distillation of the above, but it shouldn’t be overlooked. '4.48 Psychosis' runs through Aug. 5 at Temescal Arts Center in Oakland. Details here.